Exclusive armor, cloak, & eagle kite! *Note: The instance cluster and raid will follow in a patch soon after launch. **All in-game items will be delivered at launch (scheduled to release the week of July 31.+) after the redemption of a Lord of the Rings Online™: Mordor coupon code. 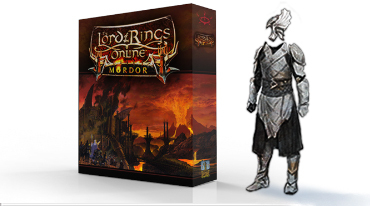 The Lord of the Rings Online™: Mordor is available in English, French, and German languages. +LOTRO: Mordor expansion is scheduled for release on July 31, 2017. In the event of delay, you will receive the Mordor expansion content and items no later than August 31, 2017. 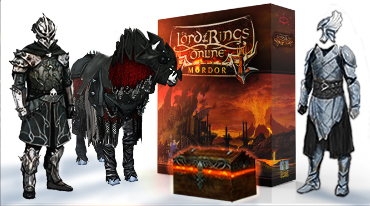 The Lord of the Rings Online™: Mordor expansion will immerse you in the legendary land beyond the Black Gate. Every legend has a journey but not all legends are truly tested. Prove your legend! Pledge your support to one of the factions starting to reclaim this sundered part of Middle-earth. Gain bonuses, story, and new gear in the process! Journey deeper into Mordor than most have dared. Visit relics of the past in lands that bring danger, intrigue and struggle. Updates to crafting and gear will help you further customize and outfit your Hero. Let your legend echo through Middle-earth! Mordor introduces the High Elf. With increased danger, you need allies! Bring the gifts of the High Elves to bear on this blasted land. Explore the landscape of Gorgoroth to find hidden treasures, scourges on the land, and get rewarded for your exploration! Only the mightiest should journey that far into the dark places. The story doesn’t end where we remember and your journey isn’t over! Adventure deep into the lost stories, dark reaches, and challenging enemies that shroud the lands around Mount Doom, and beyond. * High resolution game data or "Hi-res Textures" are only recommended for 64bit versions of Windows, for users on 32bit Windows the 'standard resolution' download (direct link here) is required. 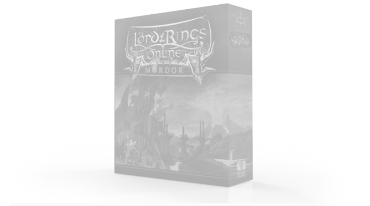 THE LORD OF THE RINGS ONLINE™ interactive video game © 2017 Standing Stone Games LLC. Standing Stone Games and the Standing Stone Games logo are trademarks or registered trademarks of Standing Stone Games LLC. The Lord of the Rings Online, Shadows of Angmar, Mines of Moria, Siege of Mirkwood, Rise of Isengard, Riders of Rohan, Helm’s Deep, Mithril, Middle-earth Enterprises logo, The Lord of the Rings, and the names of the characters, events, items and places therein are trademarks or registered trademarks of The Saul Zaentz Company, d/b/a Middle-earth Enterprises (SZC) under license. Middle-earth Poster Map © 2007 SZC under license.